A new Starbucks franchise is now open on the SUNY New Paltz campus. The fully-licensed franchise branch is in Parker Theatre (formerly the Backstage Café), providing a convenient location near residence halls and academic buildings for campus-goers looking for food, coffee and tea. The full-licensing of the new campus franchise means it can operate like any other Starbucks, by participating in all promotions and accepting customer loyalty cards and gift cards. Starbucks held a grand opening on Sept. 26, offering reusable mug giveaways, discounts and raffles through the day. 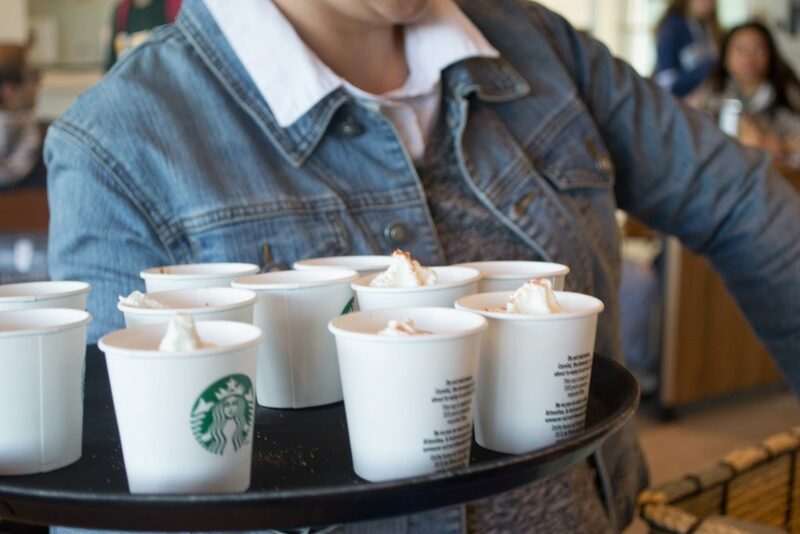 Hiring for Starbucks will be organized through Campus Auxiliary Services and Sodexo, as is the case for all Dining Services employment opportunities. New employees will be required to complete the same two-week barista training that all Starbucks hires must pass. 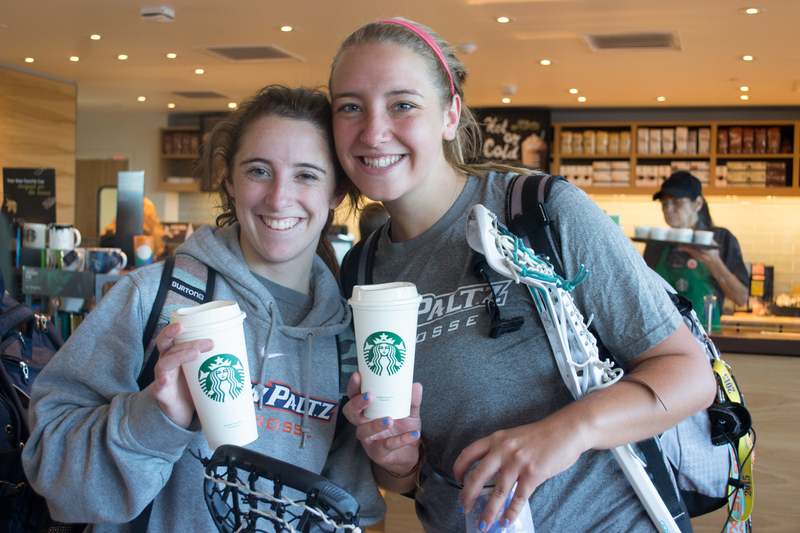 The Parker Theatre Starbucks will be open seven days a week, Monday – Friday from 7:30 a.m. – 10:00 p.m. and weekends from 9:00 a.m. – 5:00 p.m.
More information about Dining Services at SUNY New Paltz can be accessed online.